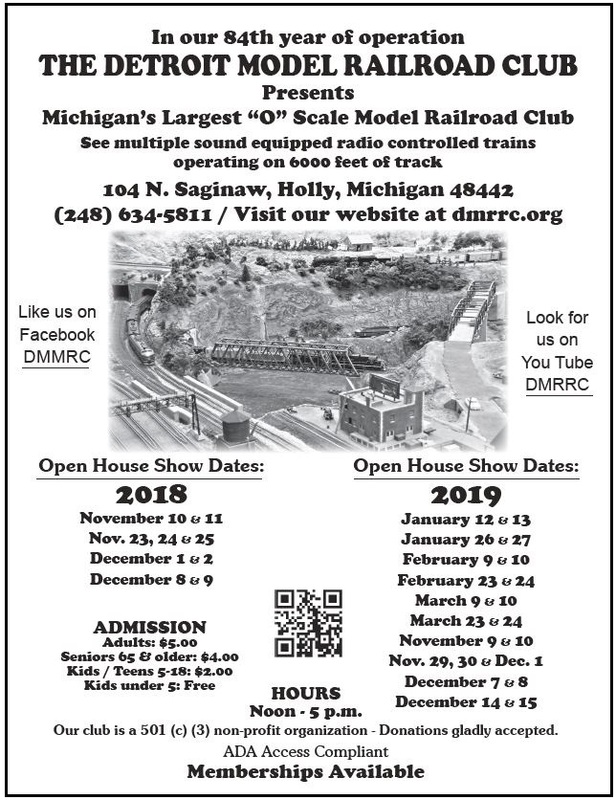 Come see what model railroading is all about at one of the largest O scale model railroads in the country. During open houses, we operate the railroad with a dispatcher controlling railroad traffic on the mainline, and engineers driving multiple freight and passenger trains. 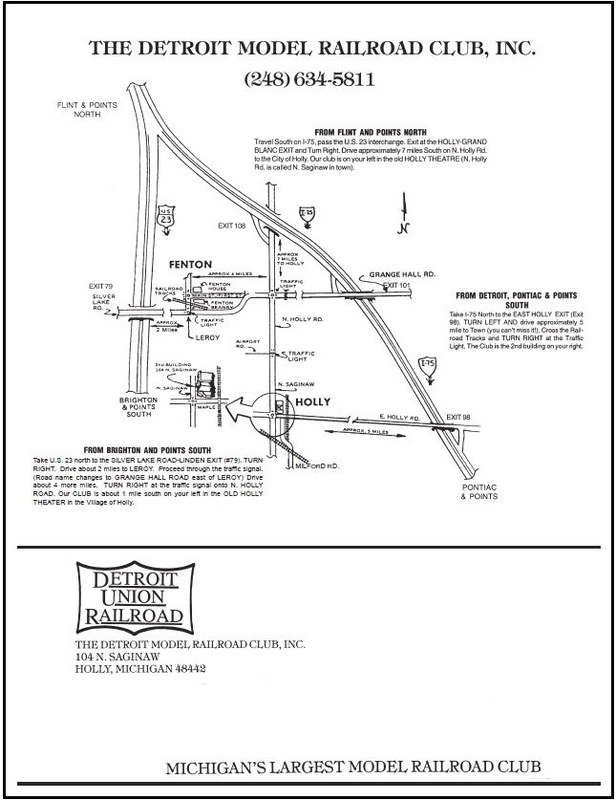 We model the transition period in the 1950's, so both steam and diesel locomotives will be found pulling freight and passenger trains on our railroad. You'll also be able to listen in on the radio communications between the engineers and the Detroit Union dispatcher. In addition to the trains running, there are always a few club members around to answer your questions about how we build the railroad, and how you can become part of the fun.